Are you interested in trying BOTOX or filler injections, laser resurfacing, or another non-surgical treatment to refresh your appearance? 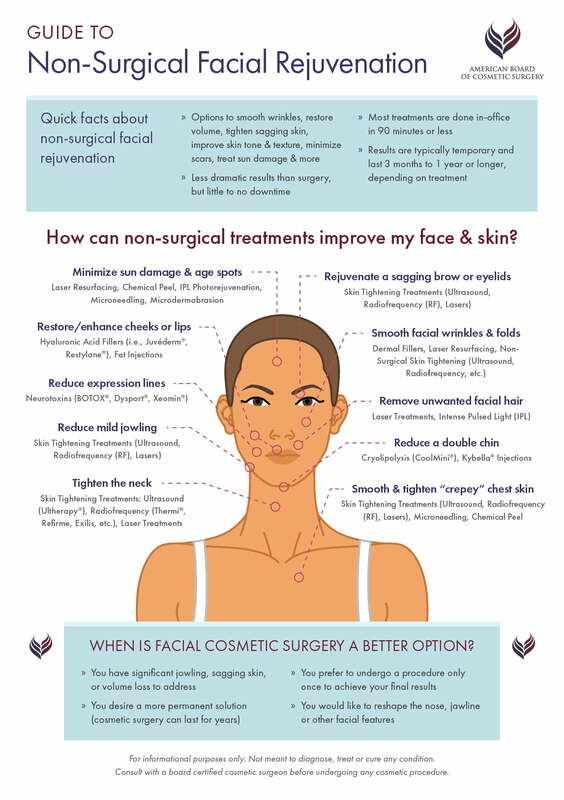 With so many technologies and treatments to help improve the face and skin, it can be difficult to know which treatments will best address your concerns. The infographic below will help you navigate your many options and focus your research efforts.